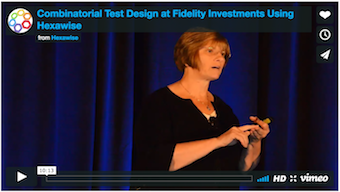 Kathleen Poulsen of Fidelity Investments gave a presentation at STAREAST 2017 sharing her experience using Hexawise to improve their software testing performance. 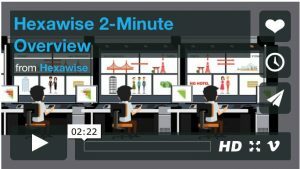 Hexawise has all the advantages of a pairwise test generation tool without the coverage limitations. 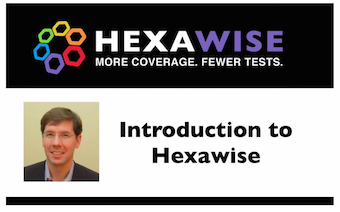 When you generate tests with Hexawise, you have a simple (but powerful) coverage dial at your fingertips. 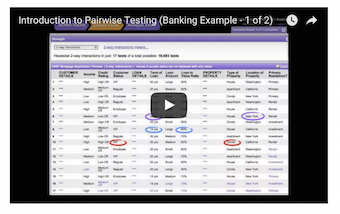 This is a 8 part series of videos showing, in detail, various steps that can be used in creating a pairwise software test plan. Many test plans will not require all of these steps. Most of the videos are 1-4 minutes long. how to use mind maps to clearly and concisely organize and communicate information about your software tests. You can quickly see mind maps in action by logging into your Hexawise account and opening one of the sample test plans. 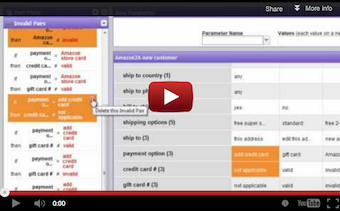 Then make changes to the test plan and export a new mind map to see the result. Learn how business analysts, product managers, test leads, developers, and others on your team can quickly review a test planning strategy and provide their input. 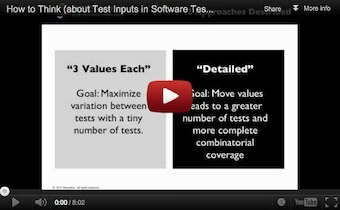 This video provides practical tips for selecting appropriate test inputs for pair-wise, combinatorial and orthogonal array software software test plans.